If you are visiting Tuscany as part of your Italian vacation or holiday, then it is vital that you make certain Siena is a part of your itinerary. A Siena day tour from Pisa, Lucca or Livorno is a perfect option to choose. Part of a triplet of must-see cities in the central area of the region, the other two being Florence and Pisa, Siena, is the heart and soul of the Tuscan wine world. Once the capital of the state of Siena, the town is now part of the Tuscan region and is known for being the home of the Enoteca Italiana, the official national wine association, as well as being central to some of the oldest wine estates in the country, it is the unofficial wine capital of Italy, and for good reason. Siena is more than just wine, however. It is a picturesque example of what a classic Italian hilltop town should look like. The town is laid out on three large rolling hills with the city center located in the valley between them. The city center is Gothic, and it is perfectly preserved. At the heart of the city center is the Piazza del Campo, which is recognized as one of the most beautiful town squares in the world. This square is the home of the Palio di Siena horse race that takes place twice a year, as well as the home to the Siena Cathedral, considered to be one of the most impressive and influential churches in all of Italy. Walking through the city will give you the feeling that you have been transported back in time to the early 15th century. The town has maintained its classic feel and elegance of centuries past, while still staying relevant to the world that it exists in today. The amazing architecture and the grandeur of the towering monuments pay homage to the heyday of the region, while at the same time anchoring the past to the present and the future with modern conveniences, and a thriving cultural community. The drive to Siena is about 1-2 hours depending on your pick-up location, and you can choose between different routes. When choosing which route to take, please keep in mind that the longer and more scenic routes take place over winding roads with many hills and valleys and therefore should be avoided if motion sickness issues are a problem. When conducting the tours from Pisa, Lucca or Livorno we like to visit Siena first, since it is the larger and more active location, and we like to take the clients there while they are well-rested and full of energy. They can also get lunch there before heading out for the rest of the day at other locations. This is flexible, however, and we will accommodate whatever itinerary you prefer. Visiting Siena requires at least 3 hours. There are lots of restaurants, as well as many great shopping opportunities. During your visit to Siena, make sure that you taste some of the saffron ham, the red wine, and, of course, the fresh cheese. These are the staple items of the local economy and they are not to be missed. The city has many fine churches, museums, and of course, plazas, but without a doubt, don’t miss the city center with its stunning architecture and amazing fountains. Our chauffeur-driven vehicles have access to drive into the city center. This means that you can travel in luxury and comfort right up to the main attractions. For those with mobility issues, this can be a real lifesaver. If you prefer to walk the sights, your driver will be happy to park outside the entrance. The city center is a very walkable space, and you can cover most of the sights on foot in a couple of hours at most, while still going at a slow and enjoyable pace. If you have a driver only, then they will stay with the car, but if you have a driver/guide option, then the driver will accompany you into the city center and share relevant and interesting information about the most popular attractions. Please be aware that our driver guides are not the local city guides and therefore will not be able to answer deep knowledge questions or give in-depth explanations. 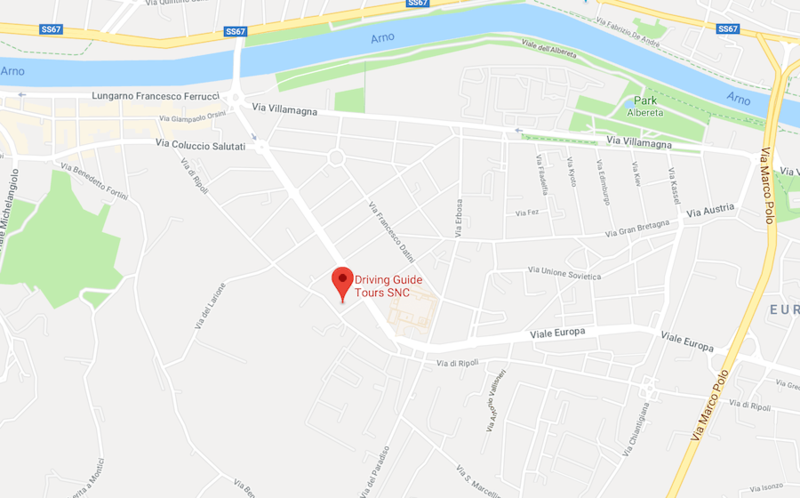 If you would like this type of service, please let us know and we would be happy to make a connection for you to a local specialized tour guide for Siena on your tour from Pisa, Lucca or Livorno. They would be the best option if you are interested in a more detailed history of this important and historically rich city and its significance in the greater Tuscany area and the state of Siena, of which it was once the capital.